How can I change sorting from first name to last name? You can easily sort your patient list by first name or last name inside SeriousMD. 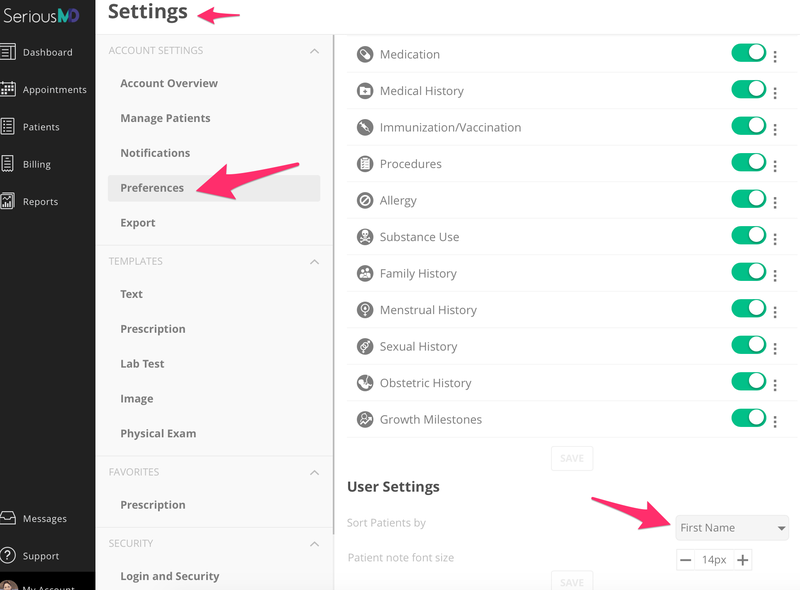 Go to Sort Patients By and adjust to to what you prefer.